This itinerary balances the joys of wine tasting and “Farm to Fork” cuisine, with walking off all these indulgences by hiking through stunning countryside, up mountains and around lakes. 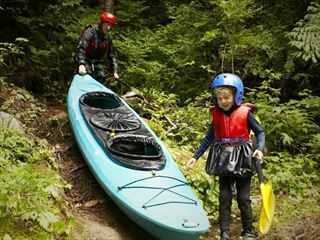 Enjoy the great outdoors at your own pace, choosing hiking trails according to your energy and mood, in the city, through Provincial Parks, along the shores of sparkling lakes or along mountain paths. 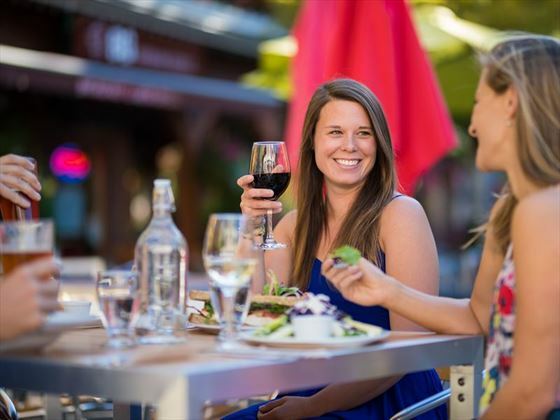 Visit the vibrant coastal city of Vancouver, the charming mountain resort of Whistler and also Kelowna – the heart of Canada’s favourite wine region. This is a suggested flydrive itinerary which we will be happy to tailor to your interests, timescales and budget. Fly to Vancouver and check in to your hotel for three nights. You have two full days in Vancouver and there are some great foodie tours that we can recommend. Gastronomic Gastown is a three hour walking tour, but with the emphasis on the food, you’ll actually be walking for less than a mile in total. Gastown is known as the “historic” neighbourhood of Vancouver, crammed with characterful bars and restaurants. You will sample all sorts of regional specialities, paired up with craft beer and interesting wines. We also love the Food Truck Tour, which is two hours of six different tastings. You’ll meet the chefs and the food artisans as you sample fantastic food from around the world. 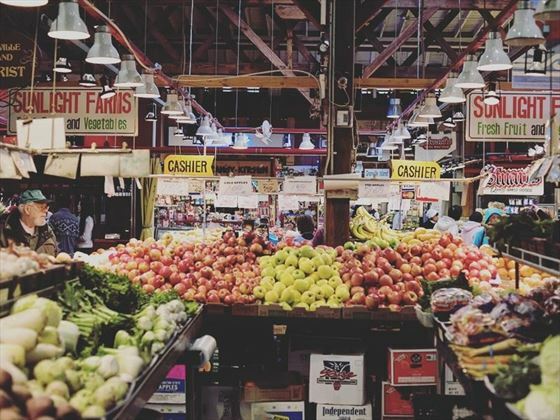 But for a foodie staying in Vancouver, Granville Island really is a must-visit. Explore the various shops and stalls offering fresh, local, seasonal produce. 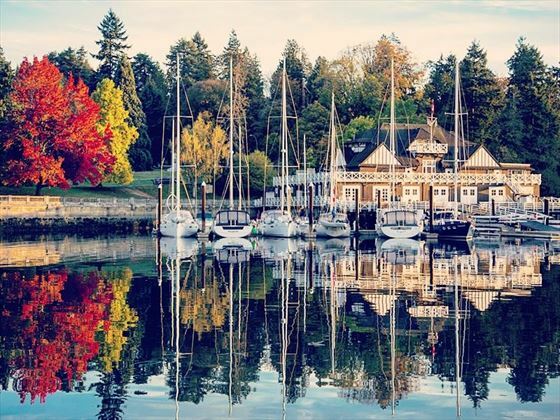 Either visit independently or book a tour to help you savour a real taste of British Columbia.There are some great walks through Vancouver and our favourite is from Canada Place to Stanley Park along the seawall. 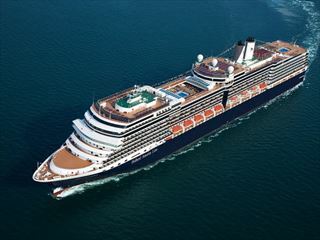 As you walk you’ll see all the activity of the wide open harbour with its beautiful mountain back drop, such as floatplanes taking off and landing and vessels of all shapes and sizes from small sail boats to giant cruise ships, as well as the marina filled with swanky cruisers. When you reach the park, you can choose to visit the aquarium or enjoy a guided trolley ride through the park. This morning pick up your hire car and head out of the city. Before you leave the city limits you might want to visit the Capilano River Regional Park for a stroll along the pretty trails to the Capilano Suspension Bridge. 230 feet above the river. You could try out the Treetops Adventure, consisting of seven suspension bridges taking you into the heart of the forest. 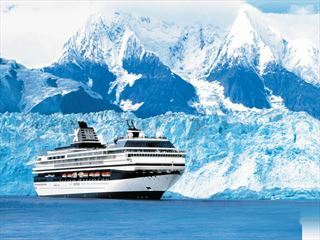 Continue along the Sea to Sky Highway with beautiful vistas of the coast and mountains. Another great stop about an hour out Vancouver is the Sea to Sky Gondola in Squamish. 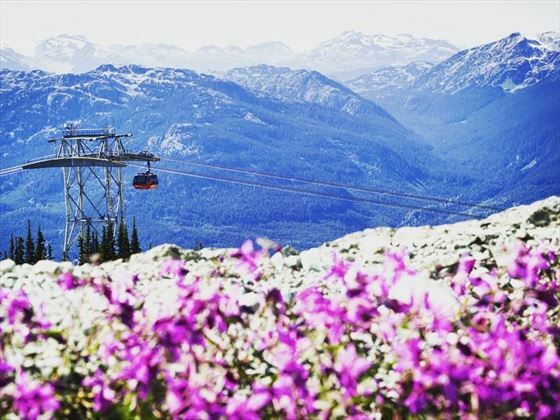 Take the 10 minute gondola ride up to 885 metres to enjoy the sweeping views of the Howe Sound and surrounding mountains. Once at the top you can either just enjoy the views from the viewing platforms, or take one of the easy trails through the coastal forest. Then continue into the mountains to the lovely year-round resort of Whistler. 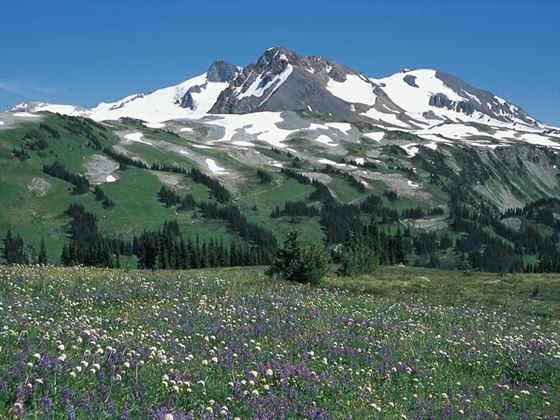 Whistler is a superb base for some fabulous hikes, with superb alpine hikes with stunning views on both mountains – Whistler and Blackcomb – accessible from the Peak to Peak Gondola. 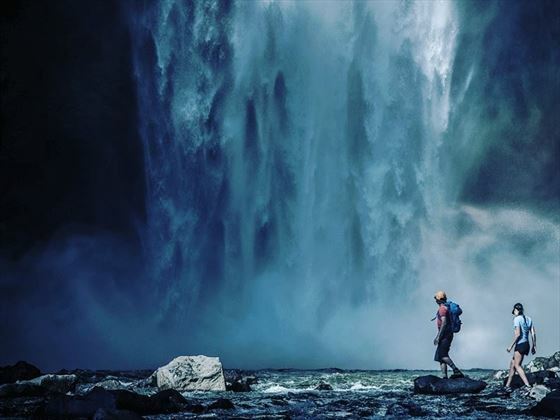 Or enjoy walks through the valley, with wonderful trails through the forests and alongside the lakes, taking in such sights as Brandywine Falls and Garibaldi Lake. All the trails are well marked and guides are easy to download. As well as the great outdoors, you can also enjoy a wonderful culinary experience in this congenial mountain resort. 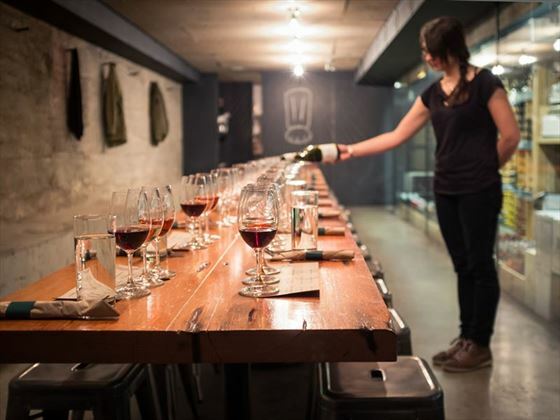 There are a couple of foodie tours we can book for you, such as the Whistler Finer Things walking tour takes you through four courses in four different restaurants including visiting an impressive 15,000 bottle wine cellar. After a leisurely morning, check out of your hotel and get on the road for a super scenic drive through the lakes and mountains of British Columbia. You’ll pass Mount Currie and Mount Matier, Lake Lillooet and Lake Seton, the Provincial Parks of Duffey Lake and Marble Canyon, and then drive along the Thompson River until you reach Kamloops Lake and your overnight stopover in Kamloops. 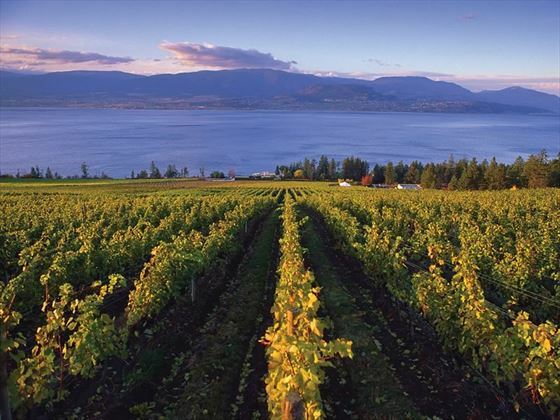 It’s back down to the valley today, and in particular the Okanagan Valley, widely regarded as one of the best wine making regions in Canada due largely to the sunny climate. 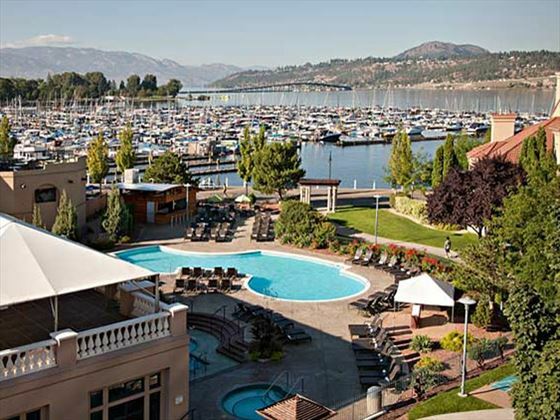 Stretch your legs with a walk through Myra Canyon Park or Waterfront Park along the banks of impressive Lake Okanagan. 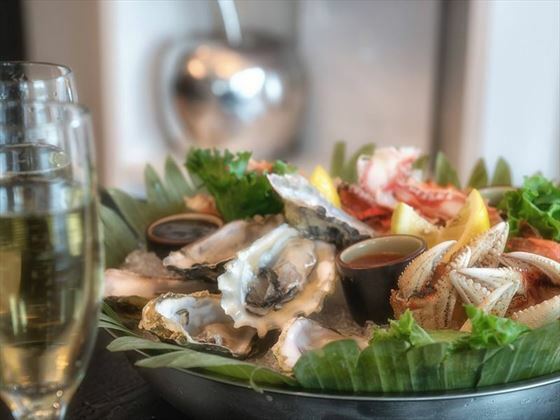 There’s a massive range of restaurants to choose from for your dinner tonight, from cosy bistros to smart wine bars and including cuisines such as Farm to Fork, Asian, European and traditional Canadian. No stay in this region would be complete without a trip to a winery. There’s a particular tour we recommend taking in an eclectic mix of wineries and most importantly including transportation! 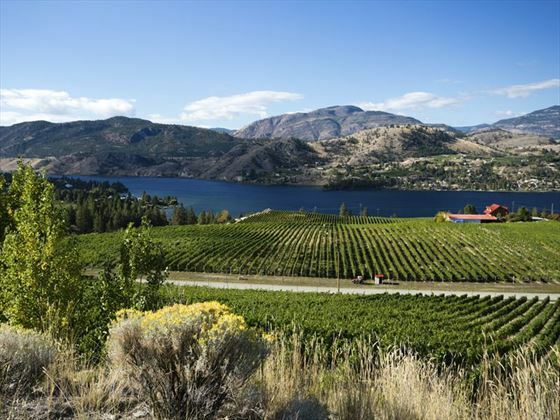 The Okanagan Valley is very much the playground for Canadians, who come here to enjoy the sunshine, the food and activities on the lakes. Today it’s time to head back to Vancouver. You can either drive straight to the airport and fly home, or have another day or two in Vancouver. Vancouver - World’s Best Food Truck Tour (2 hours) £65 including lots of food tastings! The lowest fares to Canada are generally Air Transat flights from Gatwick although their flight schedule sometimes the timing does not fit with tour departures.